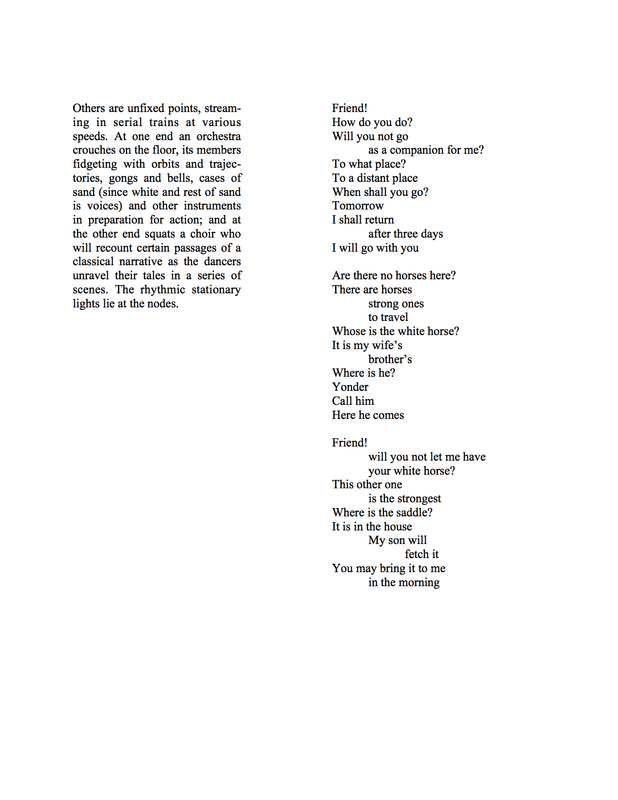 Editorial note: What follows is a look at some aspects of Joyce’s composition process for the long poem “Trem Neul” collected in with the first dream of fire they hunt the cold in 2001 and later published in Masthead in 2004. 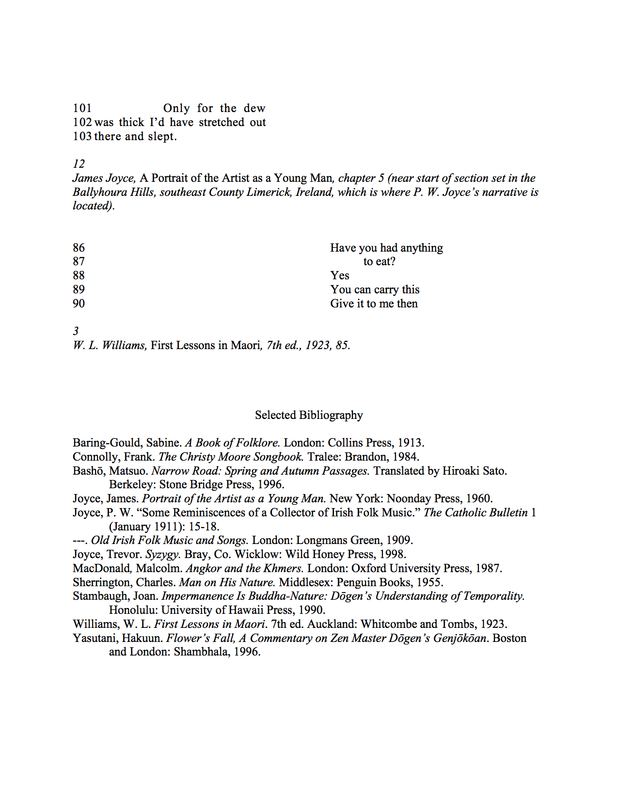 Joyce prepared a bibliography of source texts for friend and poet Anna Khasin circa 2004. 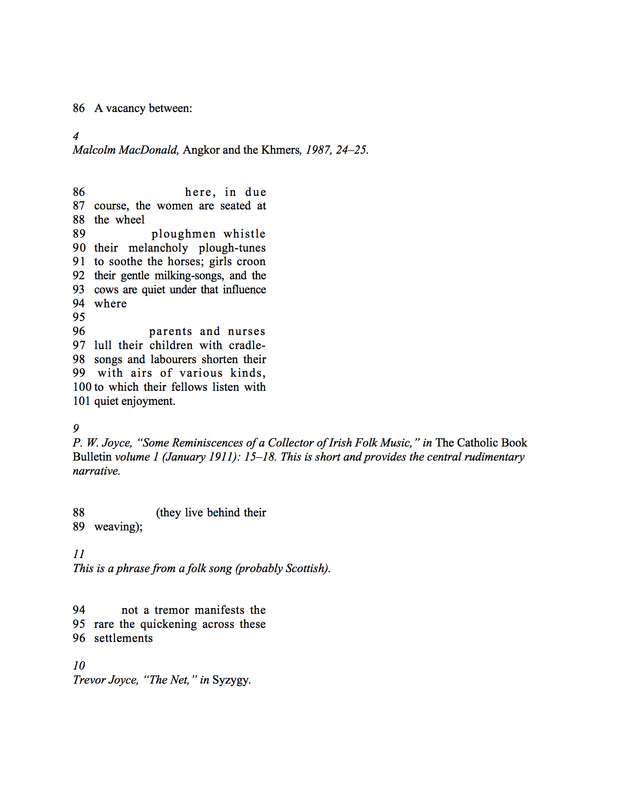 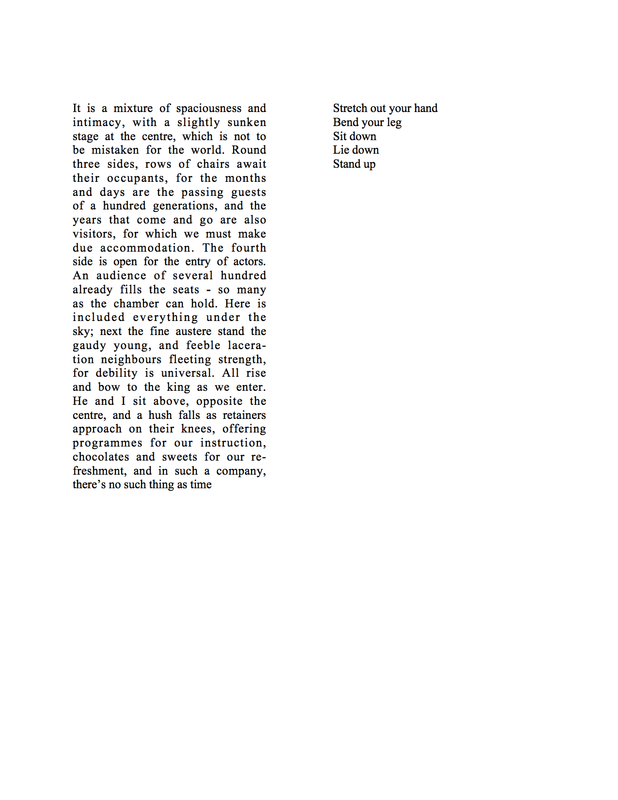 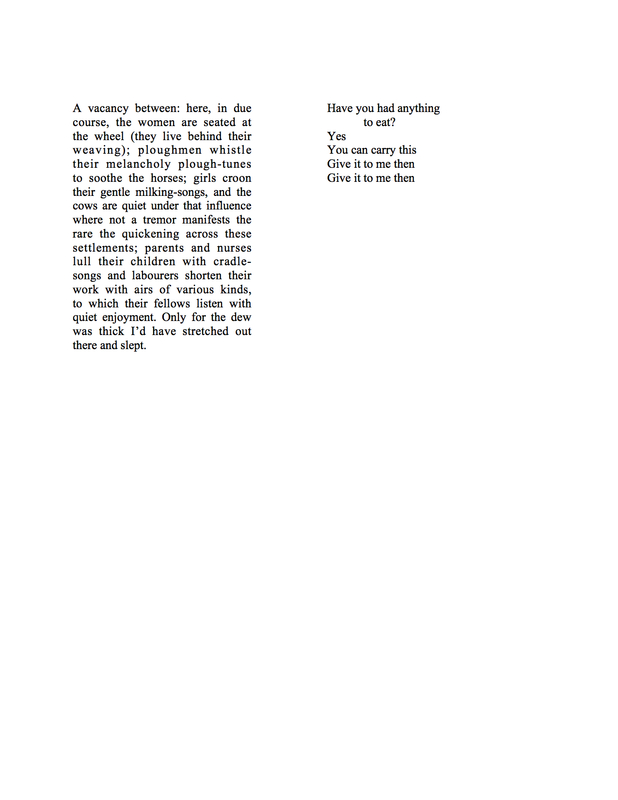 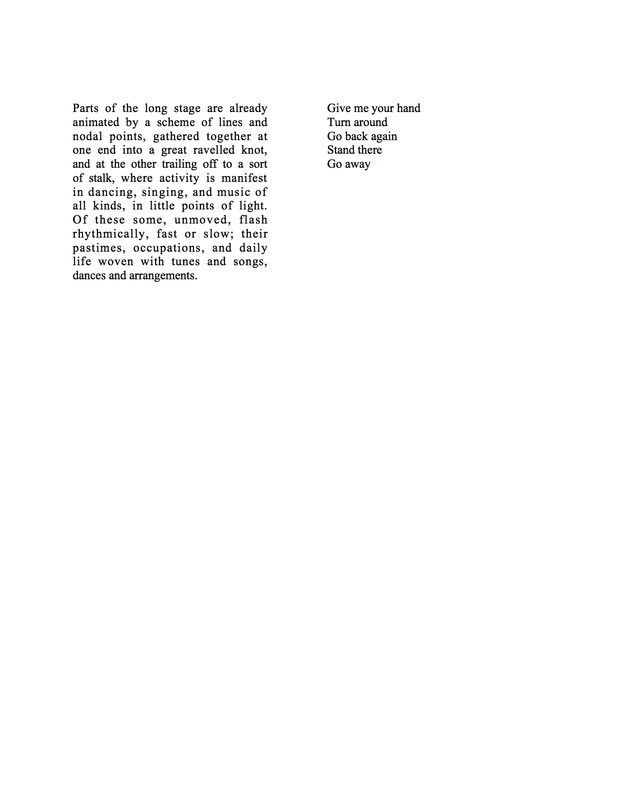 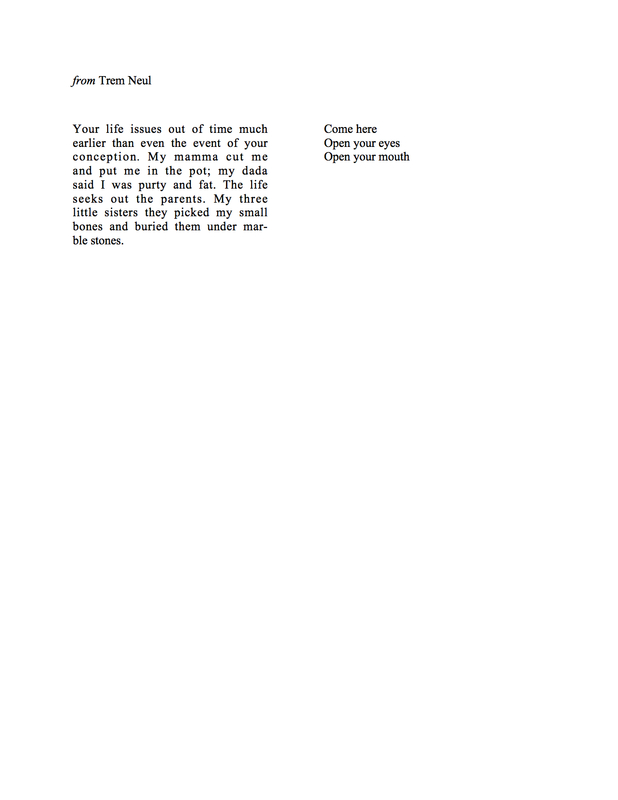 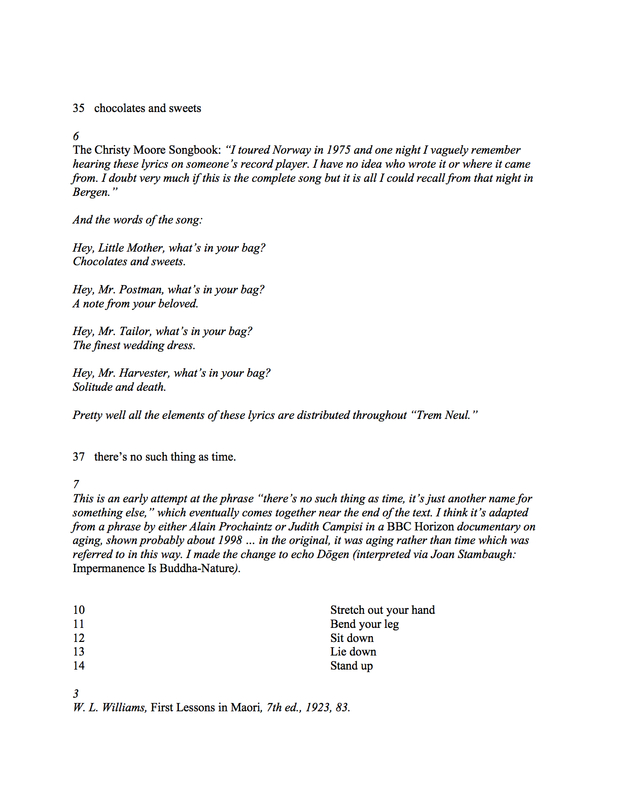 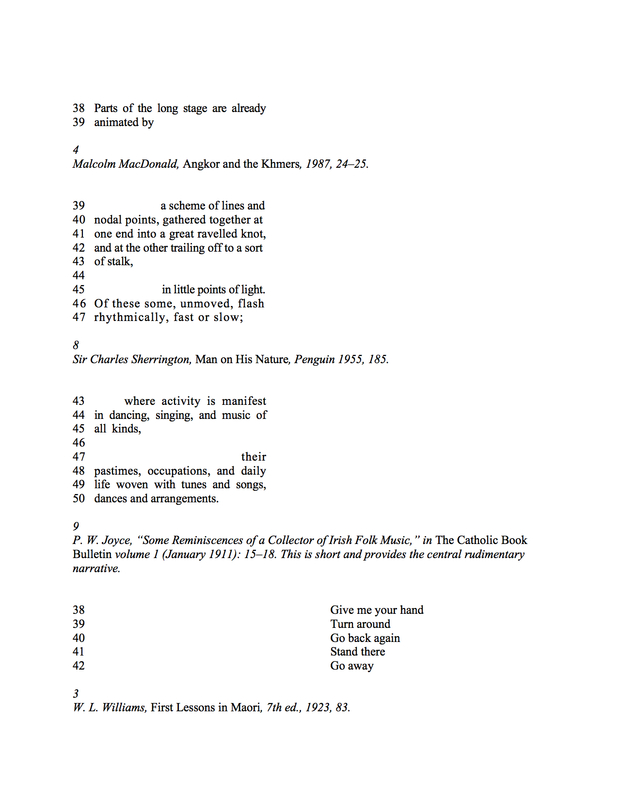 This excerpt features the first five pages of the forty-six-page poem as it appears on pages 186–231 of the 2001 collection, and also features the source texts that contribute towards this opening section of “Trem Neul.” Each of the five pages is followed by annotations written by the poet indicating the literary texts relevant to each section. 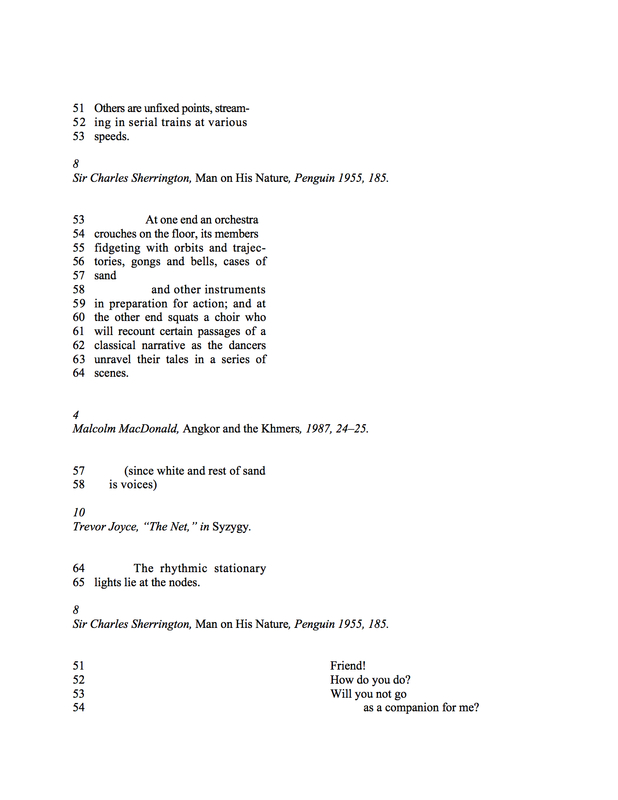 The relation between “Trem Neul” and its source texts is complex and incorporates a myriad of literary alignments which function at formal, textual, and intertextual levels. 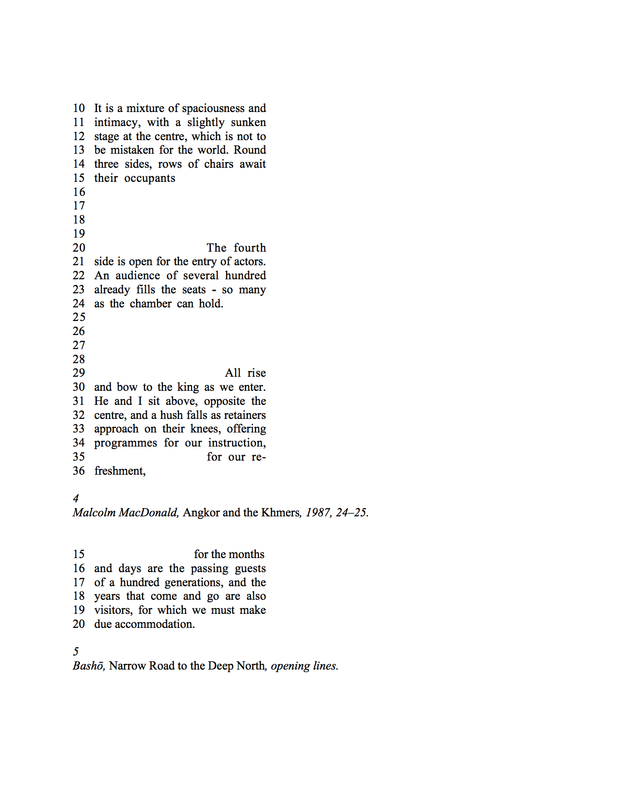 This annotated approach to “Trem Neul” details the twelve texts most important to the constitution of the poem. 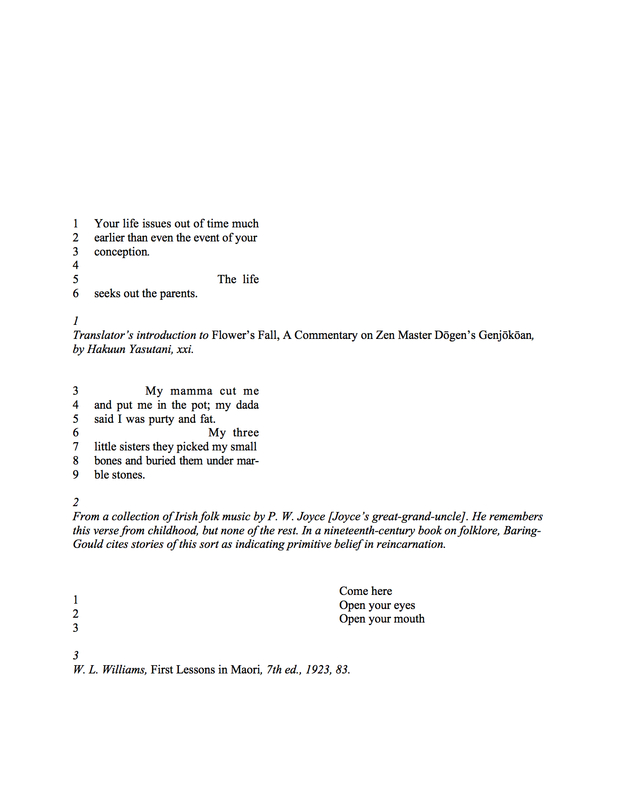 Each text is introduced as it corresponds to a particular line or fragment of the poem, and many return again and again throughout “Trem Neul.” W. L. Williams’s First Lessons in Maori is a useful example of the annotative style. 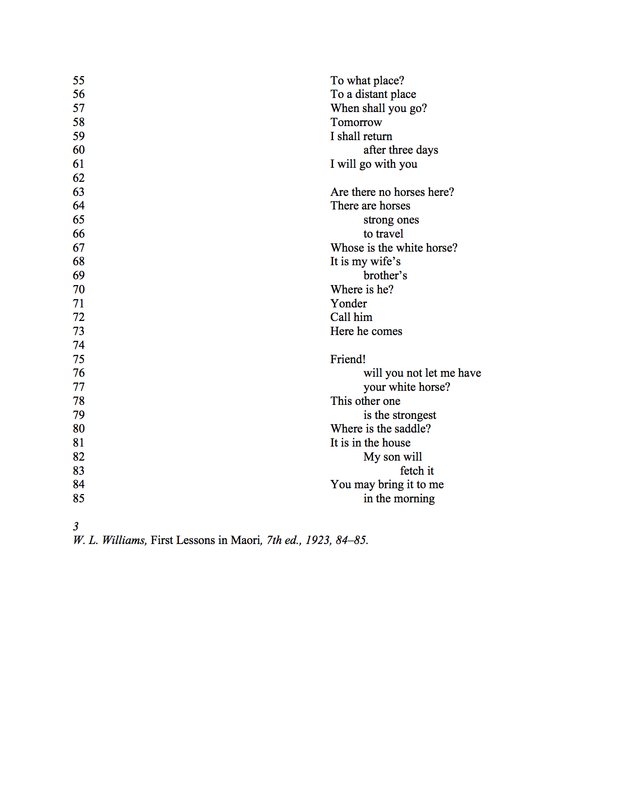 Williams’s language primer is the third text to feature in “Trem Neul,” so it is cited as “3 W. L. Williams, First Lessons in Maori, 7th ed., 1923, 83.” Joyce draws from First Lessons in Maori over and over in the right-hand column of the poem.